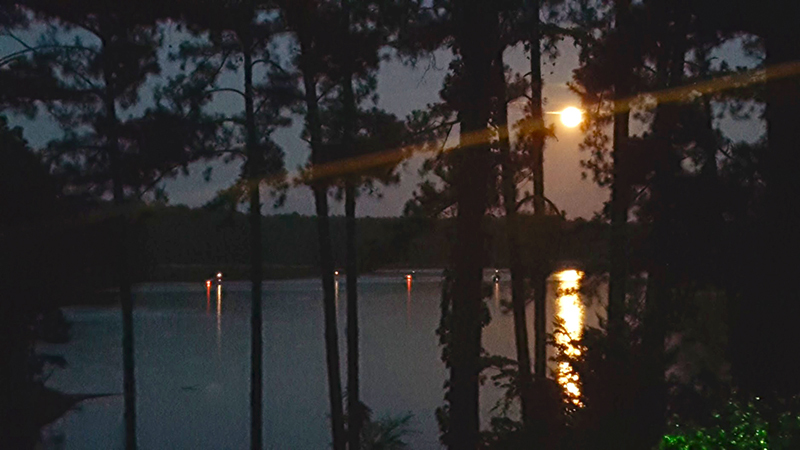 You are here: Home » Any Topic » Strawberry Moon Cruise on Lake Thurmond. Spectacular! 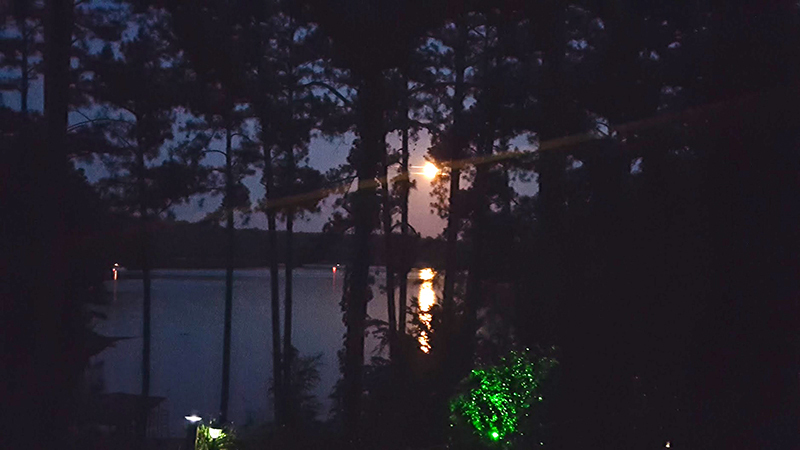 What an amazing night last night being able to see the strawberry moon out on the lake. From what Pete Nico indicated, there were about 12 boats that came out to share the experience of being on the lake with a golden ribbon caressing anyone who passed through it. Bob and I were out on the deck watching it all from our deck. It seemed as everyone started the journey back home, each boat took it’s turn passing through the gilded light. 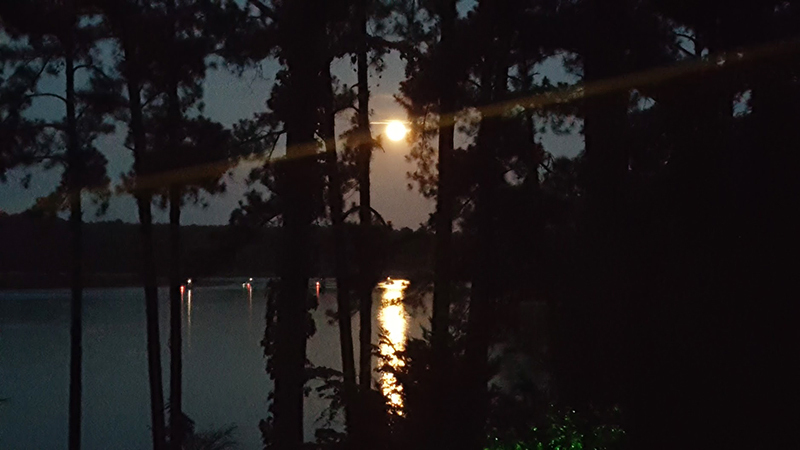 The beam was extra wide and the saturation of the color of the moon and the reflection on the lake was more then breath taking. What is the Summer Solstice, anyway? The name comes from the Latin term “solstitium,” which means “suns standing still,” according toThe Independent. The name pretty much explains everything, because the summer solstice is when the sun reaches the highest point in the sky relative to the equator. The sun bakes the earth and the Solstice is the one day with the most daylight throughout in the entire year! Wow! Once the sun reaches 23 degrees 27 minutes north latitude, in the Tropic of Cancer, it will start to head southwards. The sun will reach the northern most point on June 20 at 6:43 P.M. EST. That means June 20 will be the longest day of the year for those in the Northern Hemisphere, as the Arctic Circle will see 24 hours of daylight, according to WHIO. This also marks the first day of summer! A full moon on the summer solstice! The last time this happened was back in 1948, according to The Farmer’s Almanac. The moon will be in the sky all evening long, even before the sun goes down. This is called a “Strawberry Moon,” because farmers used to believe this moon signaled the peak of strawberry-picking season. The eloquence of the write up matches the beauty of the evening! It was a very special night that at least 12 boats and 50 crew enjoyed! Glad we caught it this time since rumor has it that it won’t come around again until 2094! !